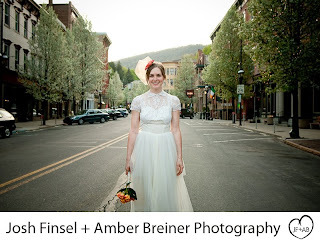 Jim Thorpe is a wedding photographer's dream. 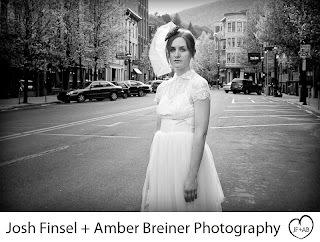 These photos were from a wedding photography shoot we did to promote weddings in Jim Thorpe. Josh and I used to live there so we know a lot of great spots for photos. Plus we know some excellent wedding vendors. The flowers in the photos above were courtesy of Marie at Best Buds Floral. We planned our own wedding in Jim Thorpe. 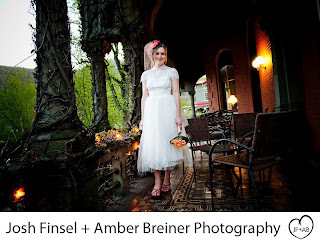 Our reception was at 14 Acre Farm, a local organic farm and in our opinion, the best wedding caterers in Jim Thorpe. More photos to come. 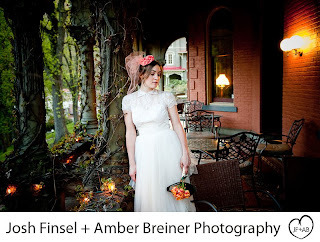 I need to choose the strongest image for a Jim Thorpe wedding website, so please comment! I like the top one or the black & white, 2nd to last.